On September 2nd, we broke the news that Samsung was issuing a recall on all Galaxy Note 7 devices due to battery explosions. Issues have continued to persist, even with the replacement devices the company has distributed. 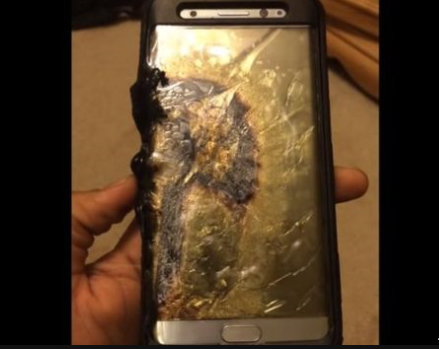 Earlier this month, a Southwest flight was canceled after a passenger’s Samsung Galaxy Note 7 device caught fire on the plane. Luckily the flight was still on the tarmac. The passenger, Brian Green, reported to WAVE 3 News the device was the replacement device he was issued after turning in the original recalled phone. Now, the U.S. Department of Transportation has issued an emergency ban of the device on all flights. This isn’t the first-time Lithium-Ion batteries have been reported for fire and explosive concerns. In 2006, PC Pitstop helped to expose the dangers of Li-Ion batteries in laptops. Unfortunately, it appears these concerns have fallen on deaf ears. In April of 2016, Toshiba recalled 100,000 Li-Ion batteries for fire hazard concerns. Since, Samsung has experienced major issues with not only their Galaxy Note 7, but the replacement devices as well. Hopefully, with the growing awareness of the dangers that come with Li-Ion batteries, safety enhancements will be made sooner than later. We recently flew to Italy and back; the cabin instructions were that Note 7s should not be turned on. Not sure if this is a complete answer to the in-flight hazard problem.